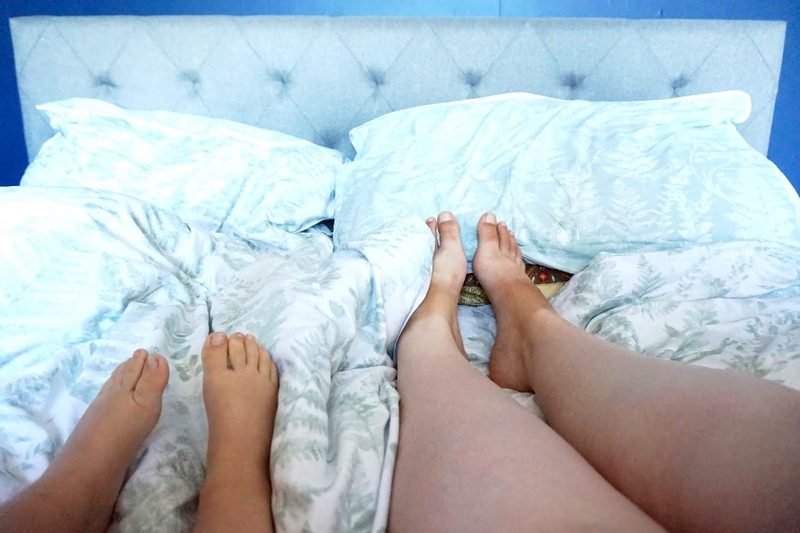 Being a Mum is absolutely exhausting, and I'm sure many of us can agree that the one place we look forward to at the end of the day, is our bed. Each morning I make sure that I make up our bed when we wake up. 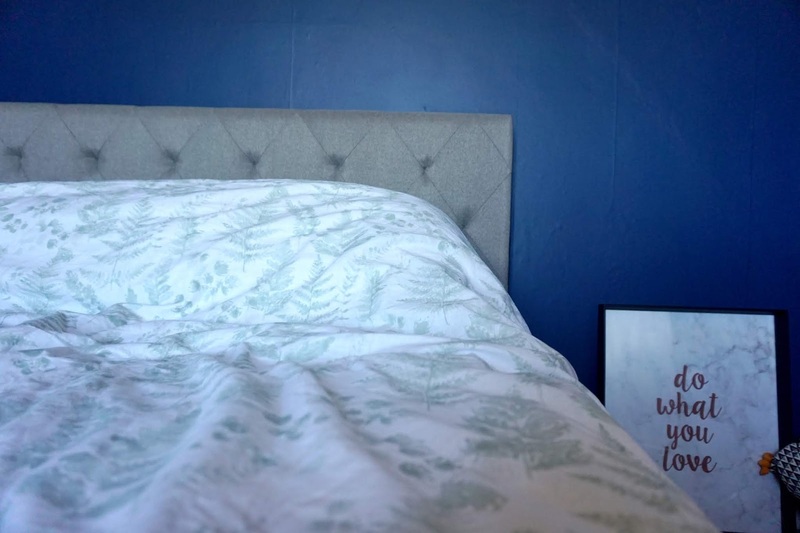 I find it helps you start the day better, makes your bedroom look tidy and it's the best feeling getting into a fresh made up bed at the end of the day. I was recently sent the most beautiful duvet set from Room To Sleep and it has honestly made my bed and my bedroom look so much nicer. The duvet is available in 3 sizes: double, king or extra-king size. It's made from 100% and is just stunning. It's patterned with white and soft green leaves on both sides. One side with a white background and the other side with a soft green background. I especially love the soft green colour, and that's what caught my eye. 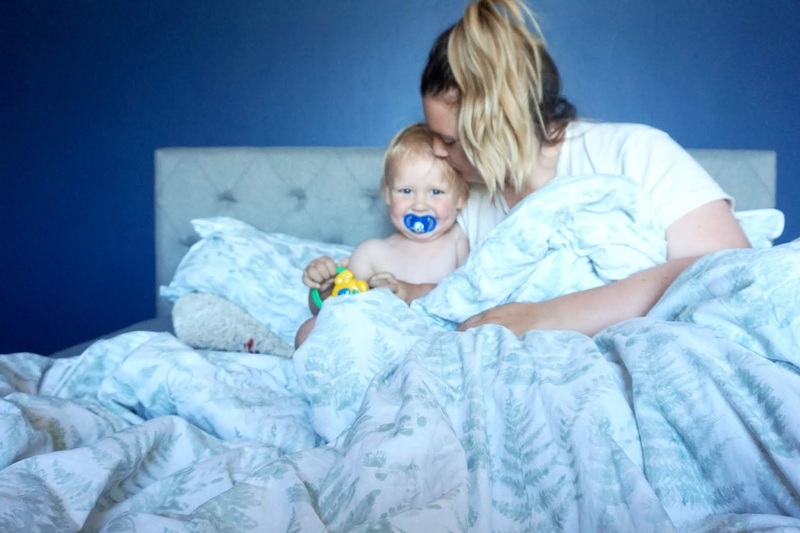 It's fantastic quality, and I would most definitely recommend this duvet set to anyone who is looking for an elegant, beautiful and high-quality duvet cover. The details such as the trim all around the duvet cover, the curved corners on the cover and pillow covers make it look even more beautiful. 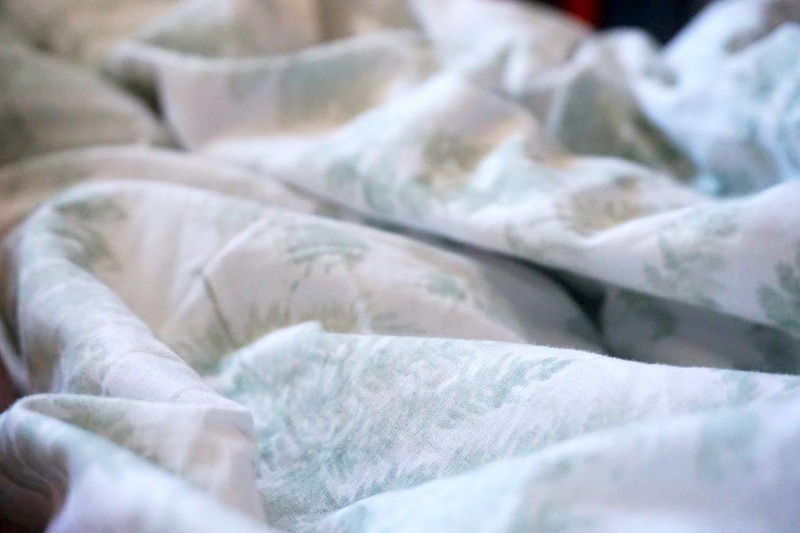 It's definitely one of my most loved duvet covers, and it goes well in my bedroom. * We were given this product for the purpose of an honest review.